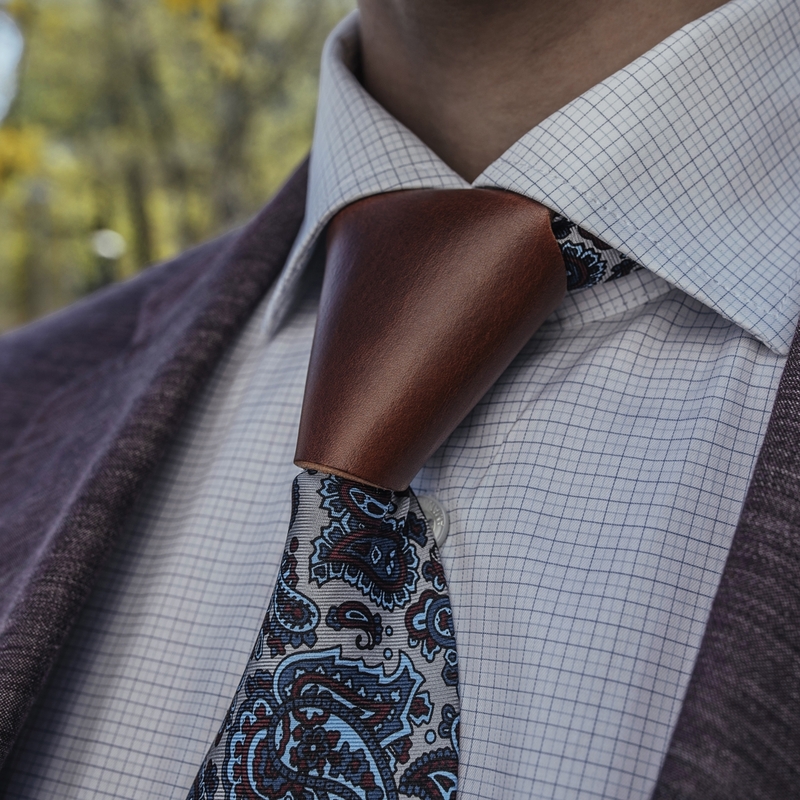 This is our signature tie knot accessory, one of a kind in the whole world. Handmade of natural leather, it's a real showstopper. Very easy to fix - make your tie knot like as always, fix Nu Windsor on the knot and tighten. It will keep the knot straight and tight for the whole day... and night. Try it with a monochrome narrow black tie and a black or white shirt. Feel free to experiment! Nu Windsor is patented-design, owned by DeMoog Design House.